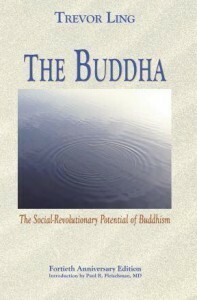 The Buddha – The Social-Revolutionary Potential of Buddhism is written by Trevor Oswald Ling. He was born in England in 1920 and during The Second World War he went to India to become a Baptist clergyman. Instead he became a student of Sanskrit, Pali and Classical Indian Literature and he had a distinguished academic career in India and England. This book was written with the intention to shake its readers into awareness of the social-revolutionary potential of Buddhism. It has two major themes. Firstly it argues that the Buddha’s message is intrinsically social, political and progressive. Secondly it implies that the message of the Buddha despite of the age, it offers us a workable guidance towards the future. This book was written with the intention to shake its readers into awareness of the social-revolutionary potential of Buddhism.